How can libraries adapt to the growing diversity of society? Goethe.de spoke with Britta Schmedemann, a specialist in target group work at the Bremen Municipal Library, about strategies of diversity management. Mrs Schmedemann, when did diversity management become an issue for public libraries? That’s not easy to say, because it very much depends on the respective population structure on the ground. Some libraries adapted very early to the advent of labour immigrants in Germany who wanted to continue their education or read something in their native language. Elsewhere, it has only been with the new generation of refugees of a few years ago that more awareness has emerged of the need for diversity management. So it’s mainly a matter of responding to immigration? No, not only. We look rather at where differences exist in society and how libraries can ensure more equality of opportunity and create a better understanding for each other. This also applies to the integration of people with disabilities or with educational disadvantages. Equally important is gender mainstreaming, that is, the promotion of gender equality. What measures are needed to create more equality of opportunity? Photo (detail): © private That depends on the target group. If we continue with the example of migration, it’s important to have an eye on not only the immigrants and refugees themselves, but also the groups of helpers and the local population who will be getting to know the people from other cultures. For each of these groups, we have appropriate media and services. For refugees, for example, books in Arabic? We’ve had them for a long time. In the 1980s, we already began to make available books in languages beyond the educational canon of English, French and Spanish. These include Persian, Arabic, Turkish, Kurdish and Russian. But above all it’s important to design the libraries so that they are not only public, but moreover open places. Here people from various cultures should feel comfortable. In Bremen, in the library entrance area, we’ve hung up an art object consisting of 300 portrait photos, predominantly of library users. It shows how diverse the people are who come here: a photo of a punk hangs next to one of a policeman. Did the library in Bremen develop an overall concept for diversity management, or did you set priorities? In 2010 our library developed a diversity strategy and adopted it as its guideline. In sum, it’s about respecting the plurality of society, observing the principles of gender mainstreaming and promoting intra as well as inter-cultural integration. Of course, this also means going into the communities and asking: what do you need from us at the library? Where is there a blind spot in our services? Is this strategy also applied to internal procedures in the library? Yes. For example, we offer our staff intercultural training courses aimed at learning how to deal with otherness through self-reflection. What does it mean to arrive in a new society and not yet know the rules? What does it mean having to learn a foreign script? We wrote our names in Arabic and noticed how scrawly the script looked in comparison with that of native speakers. These sort of exercises help create understanding for refugees when they perhaps don’t fill in our registration forms as legibly as we might like. How can successful diversity management be measured? The statistics cover only how many children or adults have a library card and who has received an unemployment reduction. Further information is always only on a voluntary basis and therefore not very statistically significant. But we look to see who comes to our library. Yes. We’ve had a very good experience with the new generation of refugees. Quite a few have found their way to the library not only through the offers we made at refugee accommodations but also because our regular visitors recommended us. We were very pleased that the local mosque community approached one of our branches as to whether the religious Feast of Breaking the Fast could take place at the library – because it was going to be a common celebration for the entire district. Has awareness of target group-oriented work in public libraries now been established? Yes. Among cultural institutions, libraries are even pioneers; we often see this confirmed, most recently, for example, by the Federal Cultural Foundation. It says that the majority of theatres and museums aren’t as far along in their diversity strategies as are libraries. What we’ve succeeded at, I think, is building a bridge for broad sections of the population because we offer both high culture and low-threshold access. Where do still see a need for action? Social diversity is still not sufficiently reflected in our staff; most of our employees are Germans. A related task is to perform more lobby work for our profession. In many Arab cultures, for example, the librarian is at the very bottom of the professional hierarchy and is looked upon as a person who isn’t good for anything else. Here we’re called upon to awake interest and to convey the information that in Germany the profession of librarian offers many opportunities. 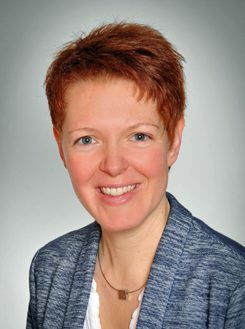 Britta Schmedemann has been working as a specialist for library-based target group work since 2013 at the Bremen Municipal Library. Since July 2015, she has also been a member of the Special Committee on Intercultural Library Work of the German Library Association (dbv).